Bronwen and Frances Percival. Reinventing the Wheel: Milk, Microbes, and the Fight for Real Cheese. University of California Press, 2017. 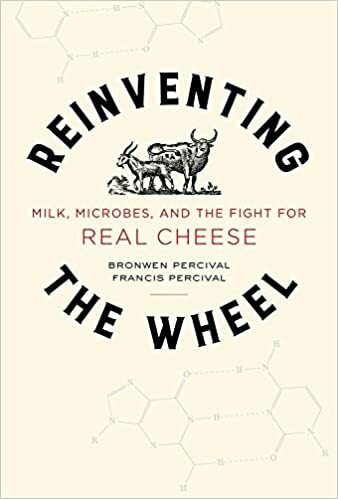 In this book, the Percivals take a serious deep dive into the culinary history, sociology, politics, terroir, microbiology, and how-to of the making and eating of cheeses, raw and pasteurized. Both kinds, when done right, can be delicious and safe. This book should convince anyone that the making of wondrous cheeses is a science as well as an art. Do poor people need more cheese products? The USDA intends to buy $20 million worth of cheese products and will give them to federal nutrition programs and food banks. To raise the price of milk and help milk producers. Milk producers think this is way too little. They asked USDA to buy $150 million in cheese products. This would take 900 million pounds of milk off the U.S. market, reduce supply, and increase prices. Is life tough for dairy farmers? So they say. As for cheese, we already eat a lot of it, more every year. Is this the best way to support dairy farmers? Today’s New York Times has a story about the travails of the Estrella Family Creamery, makers of artisanal cheeses found repeatedly by the FDA to be contaminated with Listeria. The FDA asked for a recall. Estrella refused. Whether Estrella should be considered heroic for fighting Big Government, as the article suggests, or instead is allowing dangerous products to go into the marketplace depends on point of view. Mine is that every producer—large and small—who makes food should be producing it safely under a HACCP plan or its equivalent. If the product carries special risks, as cheeses sometimes do, the producer ought to be testing to make sure it is safe. I have visited plenty of artisanal makers of raw and Pasteurized cheeses who produce them safely. These makers worry constantly about how to make sure that their cheeses are—and stay—safe. If you have a strong immune system and are not pregnant, Listeria is unlikely to make you sick. If not, however, watch out: Listeria can be fatal, especially to unborn infants. In a column I wrote for the San Francisco Chronicle last March, I responded to a question about Listeria from a reader who lost a baby after eating a Listeria-contaminated Pasteurized cheese (the contamination must have occurred later). See correction below. Listeria has the terrifying property of flourishing at refrigerator temperatures. In this particular case, neither Pasteurization nor refrigeration were enough to save her baby. Without federal requirements, you are on your own to keep yourself and your unborn infant safe from food pathogens, especially Listeria…. Listeria preferentially affects pregnant women. If you are pregnant and want to stay pregnant, you must avoid Listeria. This will not be easy. Listeria is widely dispersed in foods. Infections from it may be rare, but they are deadly. Listeria kills a shocking 25 percent of those it infects and is particularly lethal to fetuses….With so much at stake, and so many other food choices available, why take chances? That is why allowing Listeria-contaminated cheeses into the food supply is not a good idea. 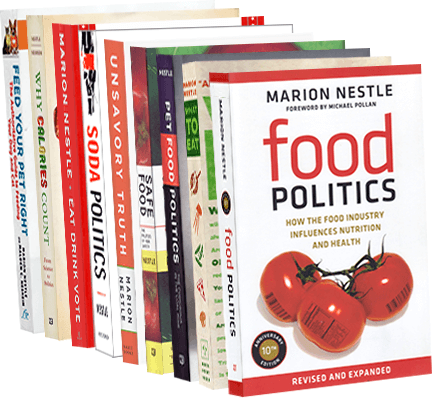 It is also why the FDA is so concerned that Listeria-contaminated foods do not get into the food supply. This cheesemaker’s refusal to recall Listeria-contaminated products is another reason why so many of us who care deeply about food safety want the Senate to get busy and pass S.510. Hot dogs, luncheon meats, or deli meats (unless reheated to steaming hot). Refrigerated pâté or meat spreads.